As a volunteer at a regional women’s shelter I have seen the impacts of substance abuse up close as well as its impact on children and families. Substance abuse is now rife even among those on state assistance. We spend billions of dollars annually on benefits for those in need and millions on incarceration for a system that is a revolving door. My own volunteer work has helped me see firsthand that the state also has an unintended role in continuing poverty and enabling substance abuse simply because financial policies are not aligned with expectations. Law enforcement officials pointed out last year that state-funded emergency shelter money was frequently being used to house individuals suspected of dealing drugs because we don’t have adequate controls or monitoring in place. State resources intended to help homeless families may be diverted from landlord rent payments to the purchase of drugs, since rent money is paid to occupants rather than landlords. This leads to evictions, more homelessness and families camped out in motels on the state’s tab in a vicious cycle, where the State loses millions of Agency of Human Services (AHS) dollars just in housing. Landlords who don’t get paid raise rents to cover losses or fail to pay taxes which further complicates the problem. AHS is failing because we are not tying safety net expenditures to desired policy outcomes. We must build into the system clear accountability for aid recipients. Policymakers must articulate clear, measurable outcome objectives, costs, services provided and the number of individuals served. The legislature needs to hear personally from people on the front lines of this initiative and not try and build in their own assumptions – police officers, nurses, teachers, social workers, not just policy wonks and special-interest lobbyists who benefit from the flow of funds to certain programs. In the past, policymakers have sometimes confused enabling with empowerment. With clear objectives, data gathering and transparency, the legislature must then hold everyone accountable—the administration, employees, and recipients. Clear, across-the-board accountability can both make it more cost-efficient and more effective. State employees generally know which clients are succeeding and which are not. But any drug treatment professional will tell you that substance abusers are a canny lot. They have to be to maintain a habit. Substance abuse monitoring (testing), unannounced visits, and tips from family or neighbors are effective ways a caseworker can ensure recipients are accountable. We must intervene sooner on behalf of vulnerable populations like children and the elderly. Currently, there must be several incident reports or an arrest for a serious offense, such as child sexual abuse, before AHS takes action on a case. That’s too late. We must involve AHS employees more on the front line so they can be proactive instead of reactive. The legislature must provide the right oversight tools and procedures to AHS employees and field workers so they can turn the tide of continued drug abuse, even within the social safety net. At our local women’s shelter and methadone clinics we are holding people accountable: if residents in the shelter are found with drugs they cannot stay. Patients at the methadone clinic who do not comply with testing or counseling requirements cannot participate. People with substance abuse problems only seek help when they have bottomed out. Understanding that, we can impose accountability. Active users cannot manage their personal finances or money supplied by the State. EBT cards without photos mean that anyone can use the card if given the PIN. Reach Up funds and the non-food portion of the EBT card is often converted to cash then used to buy drugs or alcohol. The state ends up as an unwilling supplier and it is the children in these families who suffer. Vermonters must demand that government spend our tax dollars effectively by providing assistance to those who need it, ensuring that those funds are spent for intended purposes, and that all participants are accountable to the agreed-upon outcomes. If we do not demand this of ourselves this problem will continue to erode our way of life and consume more tax dollars. Our hospitals, schools, police departments and human services personnel cannot stem this tide alone. They are overworked, frustrated and ultimately become disillusioned. We can’t let this problem worsen. 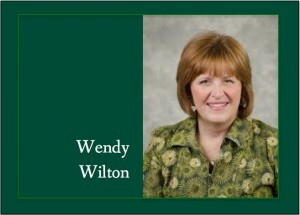 – Wendy Wilton is Treasurer of the City of Rutland and a board member of the Rutland County Women’s Network and Shelter. She is a board member of the Ethan Allen Institute. Wendy I couldn’t agree with you more. What can I do to help ensure your ideas become reality? As usual, Wendy has applied common sense to a challenging situation. Have any liberals spoken out about this and suggested ways AHS can stop enabling the destructive habits of these desperate people? For example, is there a counter argument that explains why paying rent directly to the landlords is a bad thing? And has this devolved into a partisan conversation? I’ll contribute to a Wilton for Guv campaign on the basis of her analysis alone. Well reasoned and stated, Wendy. Addiction is a terrible affliction for people that drags them down. Breaking it usually requires radical intervention and clear accountability for the addict, caregivers and the State. It’s imperative that we sort through enabling vs helpful processes, systems and behaviors of all involved. What we have in place is not working, otherwise the crisis would have been averted.